Gonpachi is a must-visit restaurant in Nishiazabu in the Roppongi area, Tokyo. It is also called "Kill Bill restaurant" as they inspired the restaurant in Trantino's film "Kill Bill" where a famous fight scene took place. You can enjoy the great atmosphere and Japanese food there. Gonpachi, located in around 10 minutes walk from Roppongi station, is one of the most popular restaurants among foreign visitors. They are a Japanese-themed restaurant where you can feel like as if you travel back to the early Japan. They have an amazing atmosphere and serve affordable Japanese dishes. Gonpachi is also known as "Kill Bill restaurant" since a famous fight scene was in the filmed in the restaurant. 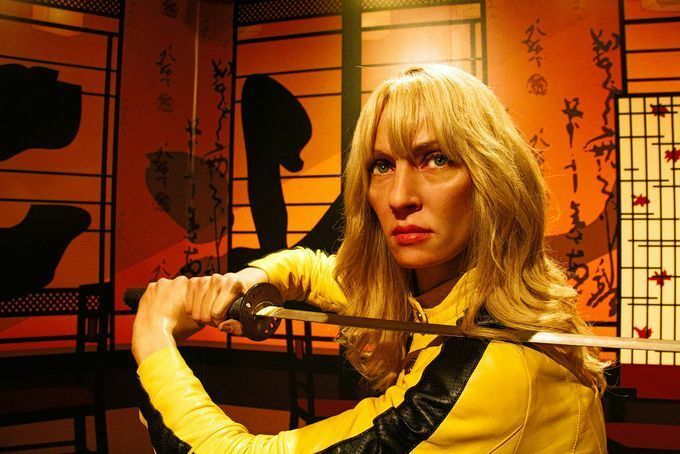 So many Tarantino fans visit to experience the world of Kill Bill. As Gonpachi is a popular spot for foreigners, they are very foreigner friendly. They have an English menu, and the staff is nice and often understands English. They have reasonable Japanese-style set meals at lunch time. All sets come with a side of salad and soup. The handmade soba noodles menu is from 650 yen! They also have rice bowls, such as oyakodon (topped with eggs and chicken) and tendon (topped with tempura). You can enjoy the izakaya style dining at dinner time. Izakaya is a Japanese style bar where people enjoy drinking and talking, usually ordering some dishes to share on the table. Gonpachi offer a variety of Japanese dishes. You can get fresh sushi, yakitori (grilled chicken on a stick), wagyu beef, and more. Their drink menu is extensive too. You can get sake, beer, wine, and cocktails. They have unique Japanese style cocktails worth trying, like yuzu (a kind of Japanese citrus) mojito. Must visit while in Tokyo! Gonpachi is definitely a must-visit spot. You will have an amazing dining experience!